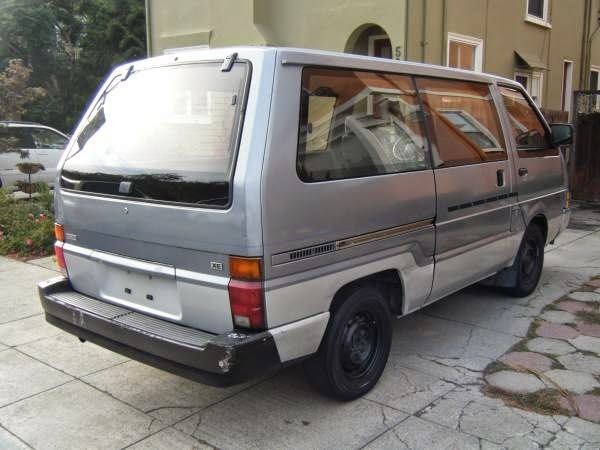 The Nissan Vanette was exported to the US market from 1987 to 1990 badged simply the Van as a competitor to the Toyota Van and Mitsubishi Van. It was an exciting time for Japanese automaker's vehicle naming divisions, with thousands of employes working around the clock....the problem was that they didn't spend much time on engineering and the 2.4 liter Z24i engine inline-4 that was shoved into the C22 for US market didn't quite fit. Cooling issues and engine fires led to a massive recall that had Nissan offering to buy back every single C22 Van sold in the US market and all repurchased vehicles were crushed to avoid future legal issues. 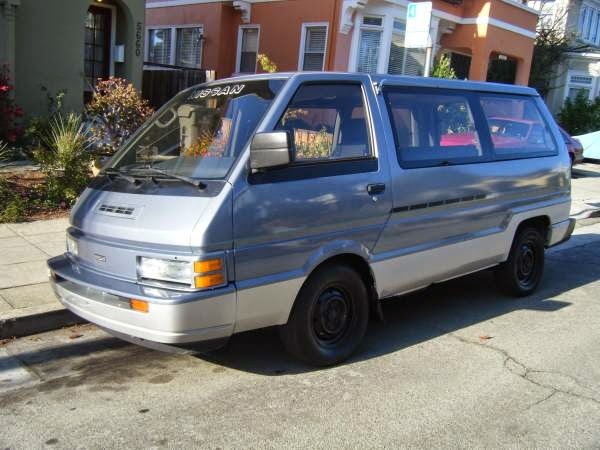 Somehow, this one escaped the crushers steely teeth, find this 1987 Nissan Vanette offered for $1,800 in Oakland, CA via craigslist. Tip from FuelTruck. 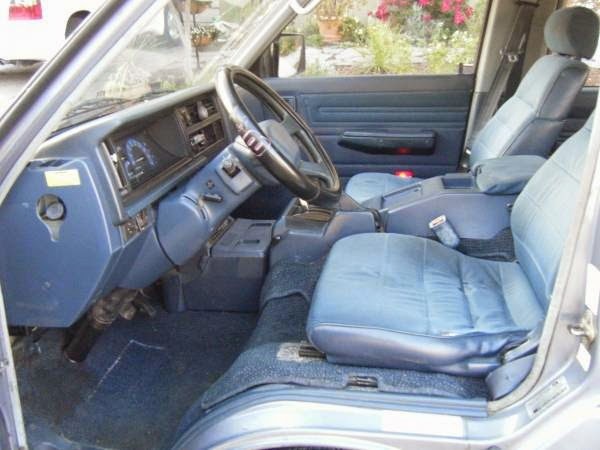 You really don't see many of these on the road anymore, probably because of the previously mentioned engine fire didn't get it, then the offer by Nissan to buy back the Van and offer a discount on a different Nissan did get it off the road. This one was purchased from an impound lot and needs $630 in CA DMV back fees and has an unknown smog history per the seller. Budget a new catalyst or two because most cars that pass smog don't get abandoned by their owners. The interior looks like a perfectly good place to spend your days before you die a fiery death. The 2.4 liter engine was allegedly picked over the JDM 2.0 liter 4-banger because it allowed the US version to run the air conditioning while going uphill, something that isn't necessary in other parts of the world. I love these and their toyota equivalents. However, the fiery death part has given me pause....ahhh to hell with it. 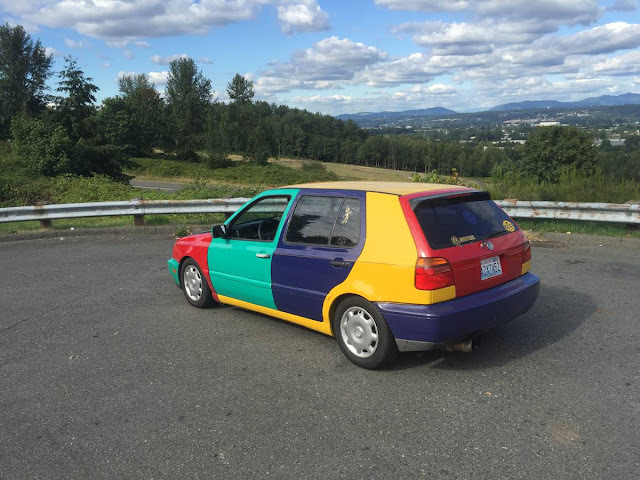 I've seen a couple of these for sale recently with 250-300 hp turbo SR20DET engine swaps and 5 speeds, which looks like a lot of fun.
" ...because it allowed the US version to run the air conditioning while going uphill, something that isn't necessary in other parts of the world"
What does it transform into?